Who recognizes this handsome guy? As you are out and about enjoying Summerfest this weekend, look for Sgt. Chris Clark who will be managing all of the police detail working the festival. Tell him what a kick we all got out of seeing this article profiling him in a 1990 issue of the Voice. 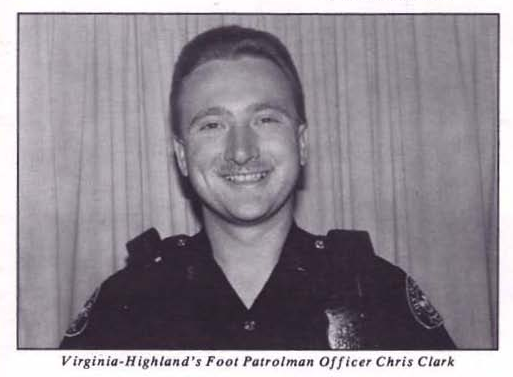 This guy has been protecting us in Virginia Highland both on and off-duty for most of his career. Thanks Chris!